LES MILLS TONE: WHAT’S IN A (NEW) NAME? 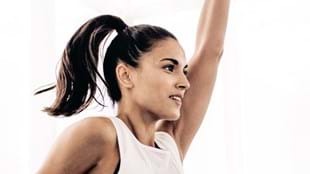 Time to start talking about LES MILLS TONE, the new program with a great pedigree – here’s the what, why and how behind the re-launch of a brilliant workout. 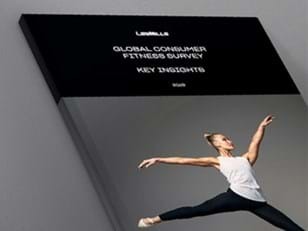 Let’s talk about LES MILLS TONE – what it is, why we have created it, and what we hope it will become. It has taken the place of BODYVIVE 3.1 in our suite of programs. This decision was made because BODYVIVE 3.1 was, simply put, not thriving. This is no reflection on the wonderful teachers who’ve put so much work into it, nor does it reflect the innate strength of the concept. But it simply hasn’t gained traction, and is now half the size of the next smallest mature program. But the initial premise – a class for everyone that combines cardio, strength and core work – is too good not to try to save. Enter LES MILLS TONE. Why call it LES MILLS TONE? First of all, it’s a name that doesn't require trade marking, it looks beautiful when written, and is a universal word. It is also great from a club perspective – 90 percent of members who join do so with the goal of getting toned/toning up … we’re speaking their language! But the name is not the only thing that has changed. The music is probably the biggest difference; it is largely modern, crosses multiple genres and generally has slower bpms to retain the authentic sound of the music. The lists are created by Les Jnr and myself, with the focus of achieving incredible feel and contrast, whichever way the Instructor chooses to put their class together. The workout focuses on simple movements with fantastic feel. There are low and high options, with intensity ranging from low/medium almost to HIIT levels. Instructors can choose which options to focus on depending on the goals and fitness of the people in front of them. And, like I said, the movements are simpler, so everyone will maximize their workout potential with the stress of complex learning removed. The class is made to be 45 minutes, but we provide enough content to make it 55 minutes, or to mix up the tracks and change the focus – again, depending on who you’re teaching. LES MILLS TONE is about freedom, and rhythmic movement to music. It runs slightly counter to the current group fit offering, in that it can be whatever it needs to be, and is fluid and constantly evolving. This is the class to train your body in functional, ahead-of-the-trend formats. This is the class for urban athletes, wherever they are on their journey. 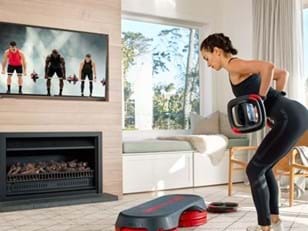 In the next few releases, we will be showcasing some more exciting components, such as moving off the beat to create challenges in peak tracks, a hip hop yoga block to truly target the core, and new moves never before seen in LES MILLS workouts. Keep me posted on what you’re digging and what you’re not. If you have any ideas or questions, don’t hesitate to contact me at instructor@lesmills.com.